It was precisely a decade ago when Scott Vaccaro turned up at Lucy’s Bar in Pleasantville and announced he had just barreled his first keg of Freshchester Pale Ale. The owner told him to bring it on in, and a party—the first of many with Captain Lawrence beer in its midst—was hatched. Scott, Rob and Captain Lawrence celebrated 10 years of beer at, fittingly, Lucy’s Saturday night. A few hours before that, the tasting room has its own kind of celebration going on. 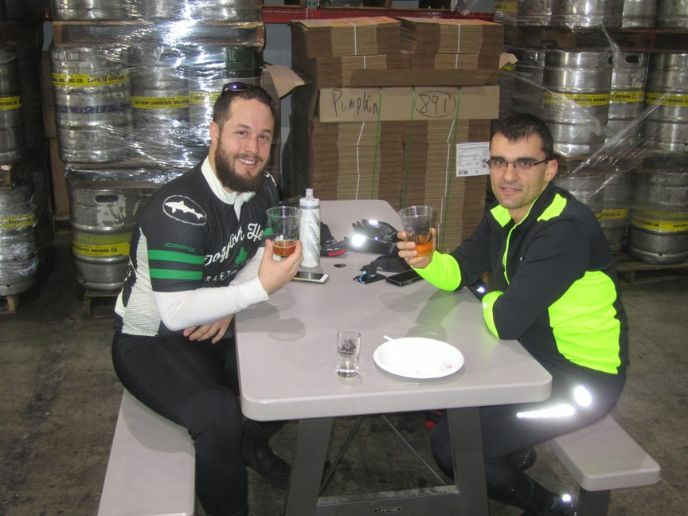 Sal Chiavelli and Sean Sampson of Manhattan took advantage of an unseasonably warm day and rode their bikes from the city. “It’s a nice ride, the rail trail almost the entire way,” says Sean. 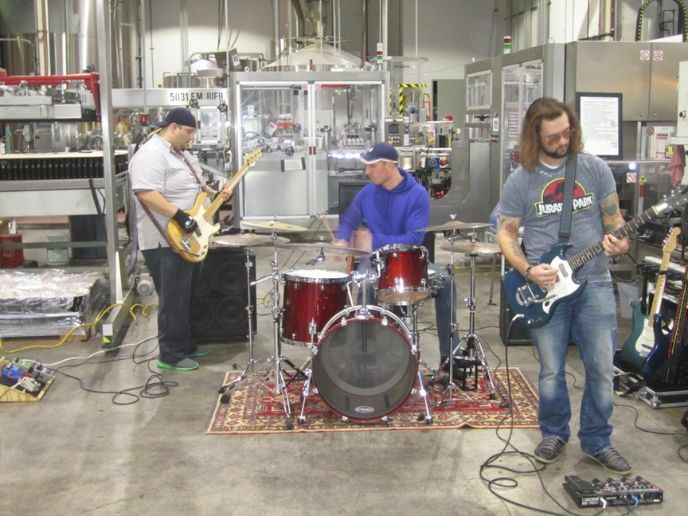 What were these hale fellows doing a decade ago, when Captain Lawrence tapped its first beer? Sneaking sips of Bud Light somewhere, they say. “Or whatever I could get my brother to buy for me,” says Sean with a smile. In his case, it’s a pilot system Kolsch featuring a blend of earthy English and tasty American hops. “Good flavor, clean finish and a good medium balance,” he says of the small batch selection. 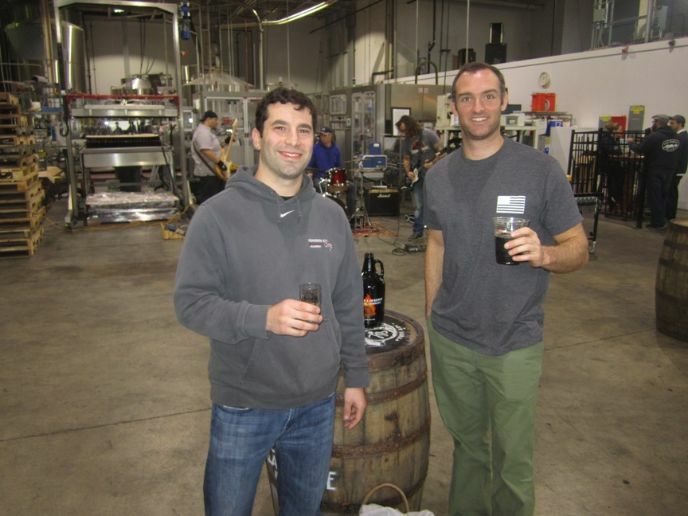 Jeff, meanwhile, has the Sisters brew, a coffee porter with vanilla and cardamom that’s brewed by the Vaccaro siblings. He’s also filled up a pair of mini-growlers, with the Bedford IPA and the imperial stout Frost Monster. The beer, they admit, would not have been all that memorable. Same goes for a trio seated in the tasting room. Pratik Amin of White Plains says January 2006 likely saw him sipping a Natty Light or Miller High Life. Today, it’s the Sisters porter, while pal Steve Dettling of Queens has selected the Frost Monster with his first pick of the day. “I figured I’d start heavy and be able to appreciate it before trying too much else,” he explains of the 11% ABV brew. 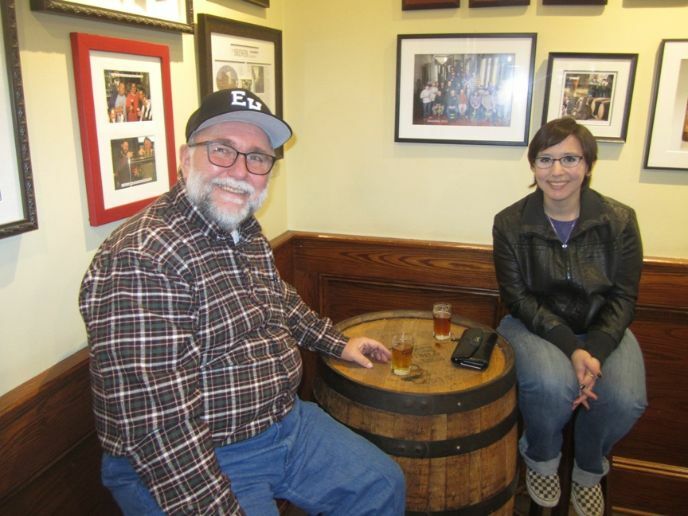 Seated at a barrel nearby, the father-daughter combo of John Griffith of Easthampton, Connecticut and Victoria Cruz-Griffith are celebrating Victoria’s 26th birthday. John is psyched that Victoria opted to spend her birthday with dad. “I think it’s way cool,” he says. He’s got the Hop Commander, but does not much go for the IPAs, preferring the Winter Ale he had before. Victoria enjoys the Freshchester—that brew that got it all started a decade ago. “Ten years is a big accomplishment,” she says. Victoria couldn’t quite remember what she did for her 16th birthday, though a year before, a full-scale quinceanera did take place. “I was probably getting in some kind of trouble,” she says of Sweet 16. Captain Lawrence Brewing, at 444 Saw Mill River Road in Elmsford, is open Wednesday through Sunday. The author is paid by Captain Lawrence, partially in India Pale Ale.